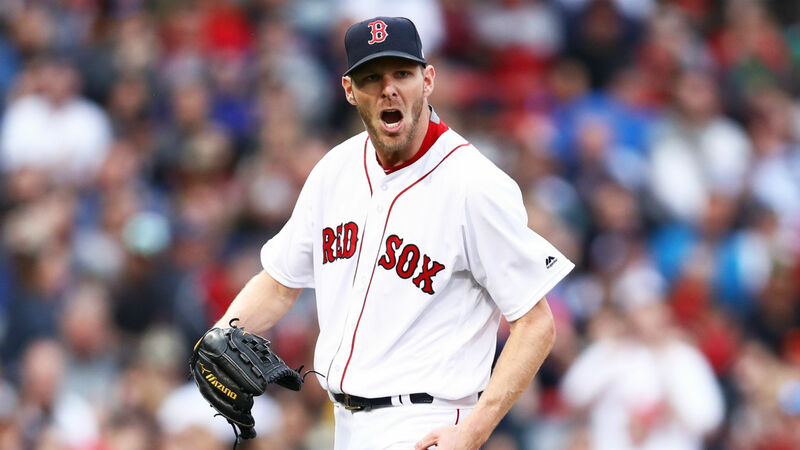 Chris Sale was supposed to start Game 5 of the American League Championship Series against the Astros on Thursday, but he was scratched after being hospitalized with an illness over the weekend. That illness, Sales said, was brought on by a belly button ring. This is not a joke. Chris Sale says he’s feeling better. Sale’s start in Game 5 was pushed back to Game 6 in Boston, but he never had to take the mound again as David Price started on three-days rest Thursday and tossed six shutout innings to earn the win and give the Red Sox the American League pennant. Sale will now start Game 1 of the World Series on Tuesday in Boston. There has been no word as to whether he will be wearing the belly button ring.